Cameron to host 'nutrition summit' Jump to media player Prime Minister David Cameron will host an international meeting with charities and companies later, aimed at combating malnutrition in the developing world. Police officers train for G8 summit Jump to media player Police officers from across the UK have been training alongside the PSNI at Longmoor Training Camp in Hampshire ahead of the G8 Summit in Fermanagh. Prime Minister David Cameron will host an international meeting with charities and companies later, aimed at combating malnutrition in the developing world. 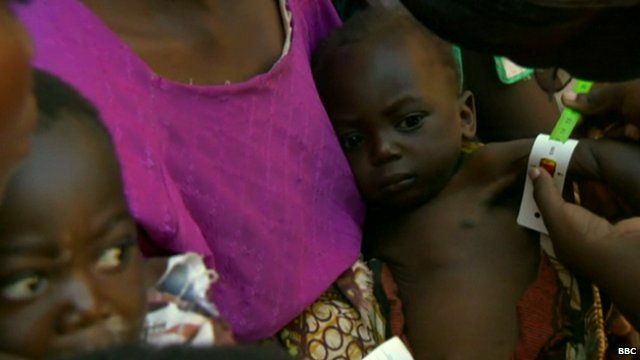 As part of the UK's G8 presidency, the meeting aims to get more funding from nations, companies and charities toward African countries' own nutrition plans. But some charities worry that not enough cash will be raised to make a difference. International Development Correspondent Naomi Grimley reports.